The Ganaraska Forest Centre is set in 4,450 hectares of mixed forest, within an hour's drive of Toronto, Peterborough and Cobourg and is a perfect venue for weddings, corporate training or other private events. Book for an evening or a day and use one of our many break-out rooms for training or professional development. Adult Outdoor Education Programs are also available. Your group can even stay overnight in our dormitory wings and Specialty Suites, that can accommodate up to 86 people. Our certified culinary professionals can work with you to offer a variety of meal selections or you are free to use one of our approved caterers to ensure an elegant and complete dining sensation for your event. The facility operates year-round and is open to the public most weekends, with a variety of rental options available (check Availability Calendar). Full facility rental, including the Forest Centre and all of the adjacent buildings is available, or select a combination of facilities, based on your group size and needs. Please contact our administrative office info@grca.on.ca or the Ganaraska Forest Centre Manager at 905.797.2721. 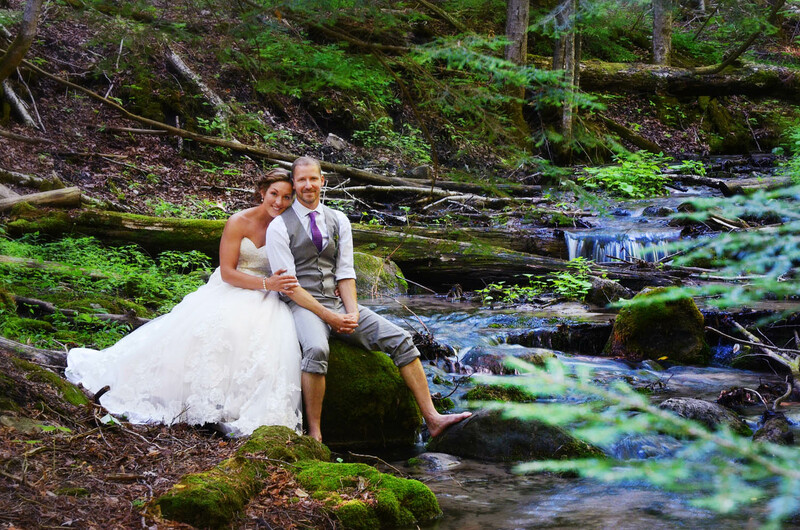 This do-it-yourself, destination-style wedding venue includes an outdoor ceremony site in the majestic Ganaraska Forest, a beautiful reception hall, and overnight accommodations for you and your guests. Wedding rentals include use of the full facility for the full weekend. Weddings are offered year-round at the Ganaraska Forest Centre. Do you have your heart set on a date? Please see the availability calendar for open weekends. For the 2019 prime-season (May 1st through October 31st), see the Wedding Fee Schedule. To see photos of weddings held at our unique facility, see the GFC Facebook page or find us on weddingwire.ca or thenorthumberlandweddingcollective.com. You can call or email for more information or to set-up a facility tour: 905-797-2721 / info@grca.on.ca. 2019 late-booking discount being offered for June 1st, June 8th, August 3rd and August 17th. Call for further information!